The following may also be useful resources for health professionals to facilitate an informed discussion with patients prior to developing their specific patient management plan. The BloodSafe program is a blood transfusion safety and quality improvement collaborative between SA Health, the Australian Red Cross Blood Service, SA public and private hospitals and their transfusion service providers. Their mission is to coordinate a safety and quality framework for all steps of blood transfusion practice to improve patient outcomes and ensure sufficiency of blood supply. BloodSafe has developed a set of tools, resources and links for consumers. The Clinical Excellence Commission implemented the Blood Watch program in 2005. The key focus areas include appropriate use of red cells, establishment of local and state clinical governance frameworks, standardisation of education and other resources, and implementation of clinician engagement and communication strategies. 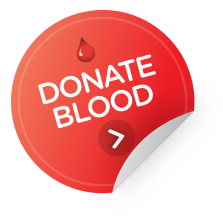 The Blood Watch webpage includes links to information for patients and families. The Western Australian Department of Health provides consumer information explaining why Patient Blood Management is good for patients.